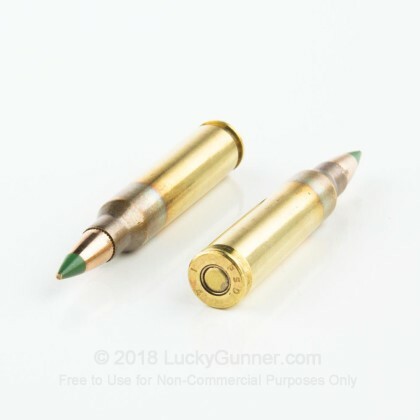 Bullets - 62 grain FMJ M855 "Green Tip"
Looking for a M855 round that's packaged for a little more protection in the field or during storage? 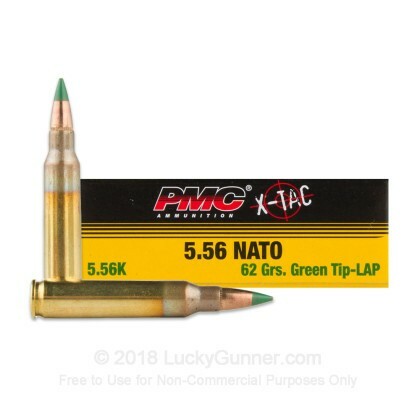 Then check out these 5.56x45mm 62 grain M855 "Green Tip" rounds from PMC XTAC. 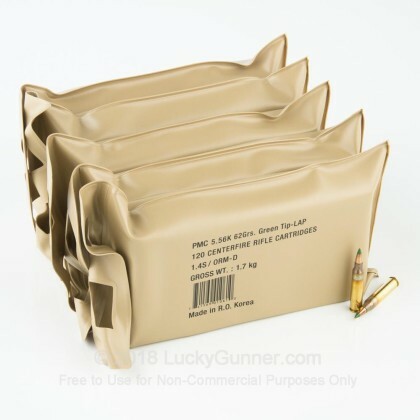 These 120 brass-cased rounds of M855 ammo are packaged neatly and safely away in heavy polymer "battle packs" that protect the ammunition from rain and humidity plus they're easy to transport wherever you need them thanks to their handy built in hand/finger loops. 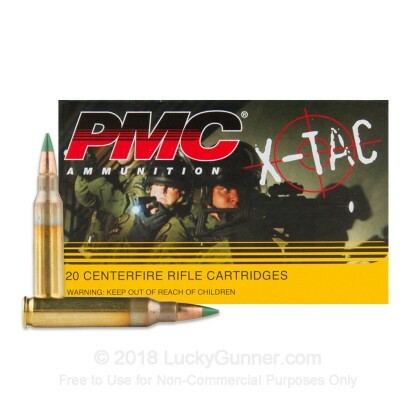 Like all ammo from PMC, these rounds are new-production, brass-cased with non-corrosive boxer primers (great for reloading!). 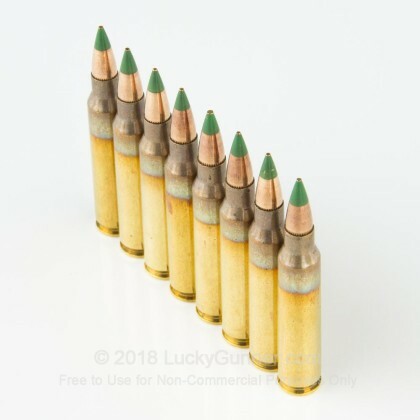 Q: Are these the true 5.56 NATO Green tip bullets with the steel rod on the center? 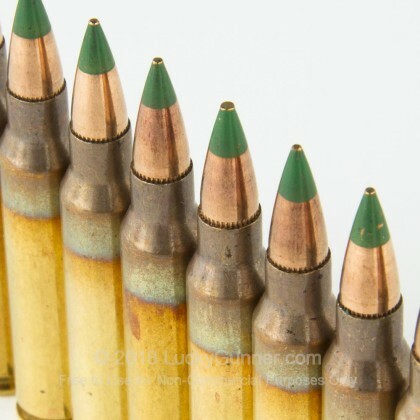 A: Hello John, This PMC ammunition is loaded with the SS109 62 grain steel penetrator projectile.